2005 was my last year in college, and I had to write a thesis. I decided to work with my Spanish teacher, who I loved and is 100% the reason why I loved learning Spanish, on the topic of „El Turismo en el Caribe“, the tourism in the Caribbean. Growing up in the Swiss countryside with cows and forests, I always dreamed of white sandy beaches. My walls were full of the latest palm tree posters I could find in the warehouse, and everyday I woke up, I just wanted sun, palm trees, and beaches! Writing my thesis back in 2005 drastically opened my eyes. Tourism has its downsides and I think it’s important to be a conscious traveler always.I’ll be giving you more conscious travel tips soon! 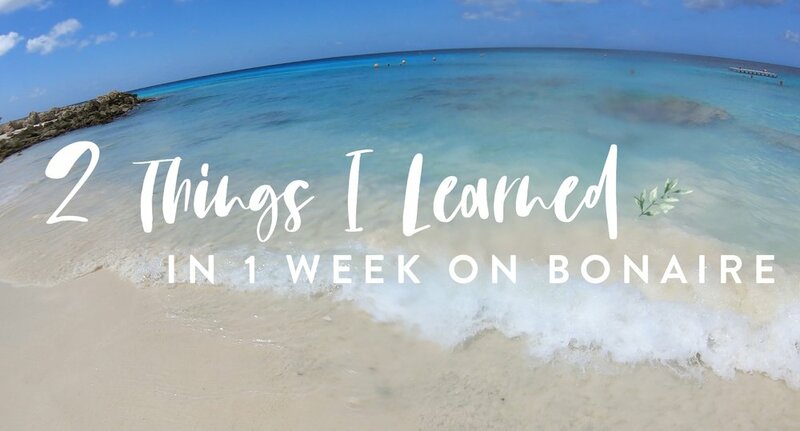 Last week, we arrived on Bonaire, which is one of the Caribbean ABC islands close to Venezuela. 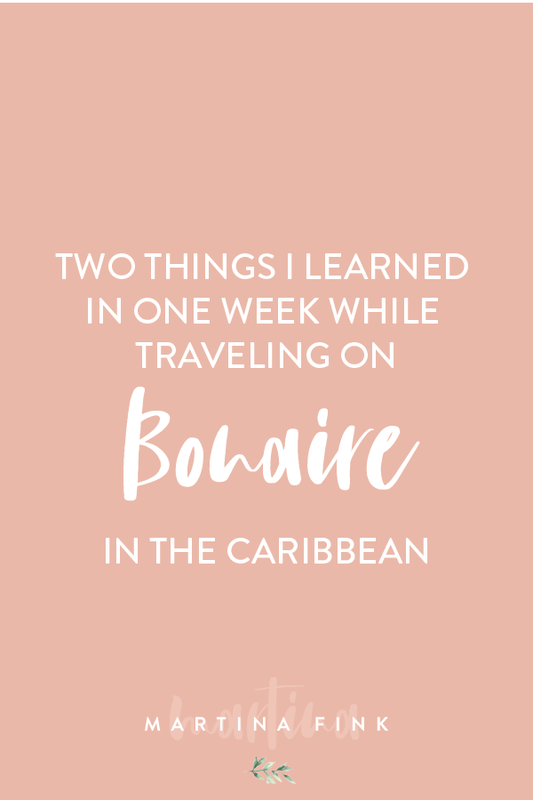 We‘re spending an entire month here on Bonaire before we move on to other islands, and it’s already been such an eye-opening experience! Click here to head over to my Instagram and watch my daily island life stories! 1) Stick To Your Self-Care Routine, No Matter What! I had to work longer hours! I had to take the kids to school! I‘m too tired, I will do it tomorrow! I just have too many other things going on! Does anything sound familiar? It totally does to me! 😅 Especially when traveling, it can be a challenge not to forget about yourself when there’s so much to explore in a new place! However, it’s so worth it to keep doing your thing! Because especially when you move around a lot, a little grounding will keep you sane. Maybe you tweak your practice, shorten it, only do one thing instead of three, but do that. A 5-minute meditation, a 1-page journaling exercise, a 3-minute Guasha facial massage. That’s all it takes! Do at least one thing for yourself every day. What is it that you’re hoping for? Dreaming of? What have you been wanting to do for years? Do it now. Because life is happening now, not in your next vacation. Not when you’ll finally take that break. Not next year. Not next month. Not when you‘re 30, or retired. That trip to the Caribbean? Plan it now. Eating out at that expensive restaurant? Reserve your table now. Learning to kitesurf*? Do it now. 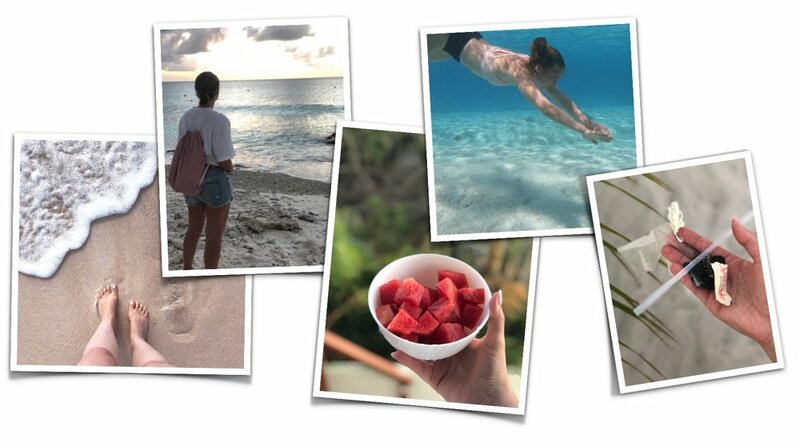 Come on over to my Instagram and watch my daily stories and see how we’re living our glowing island life on the kite beach, with our morning smoothie bowls, ocean beauty, and more! I will have lots more updates here soon!